Bringing VALUE to the table is of utmost priority to us. We attend to our corporate clients' needs by deploying out-of-the-box solutions that drive successful Business KPIs. We love taking on the challenge of creating new ideas. ♦ We can work hand-in-hand with you to usher in a healthier culture in your company. ♦ We can organise events for your clients to lead healthier lives. ♦ We can bring fitness to your doorstep by engaging various instructors to teach at your premises. Reach out to us with your goal, the sky's the limit. Let's create a #fitterfasterstronger Malaysia! What would you like for us to solve for you? Passionate, creative and dedicated – are three words to best describe Janell, Yen and Nick. When it comes to engagement, their ability to continuously propose innovative ways to attract and communicate with the targeted audiences via an array of delectable nutritious snacks plus community fitness events never fail to impress us. We are extremely pleased with the growth the collaboration has brought – our client's participation has increased remarkably by 525% (comparing first event in Q1 with recent event in Q2). 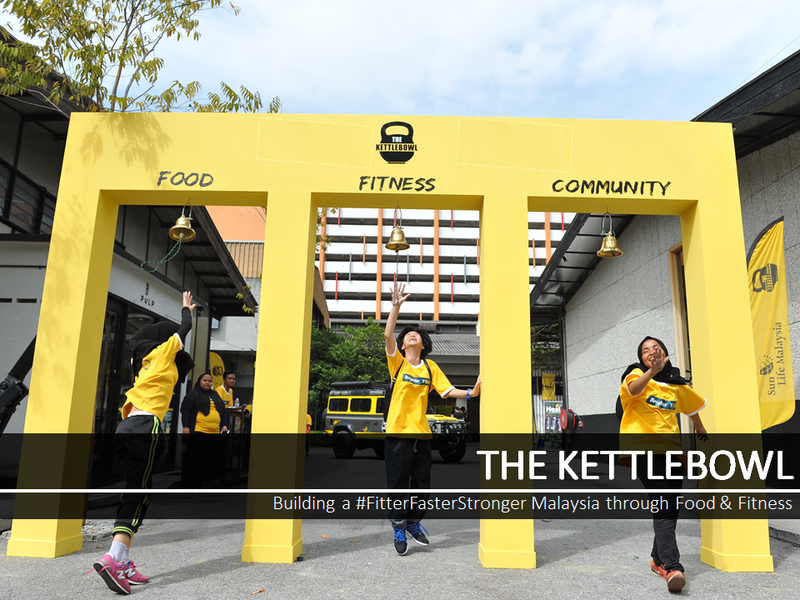 The Kettlebowl stays true to their goal of building a #FitterFasterStronger Malaysia by spreading positive perceptions towards a healthier lifestyle – in line with Sun Life Malaysia’s Purpose of helping Malaysians #LiveHealthierLives. The Kettlebowl organised Ativo Suites' concept healthy lifestyle living and it was well planned in terms of agenda and line up of workout sessions. The Organizers were punctual in setting up and facilitated the workshops. Special thanks them for helping to manage the participant flows from the registration up to the end of event. Their team was very flexible although thunderstorms caused the change of location and solved the issues at hand very quickly. Their recommendation of fun instructors assured that the participants enjoyed themselves. Their ability to increase social media engagement was good - The event was well covered across social media via participants' and instructors' accounts.